This is actually my husband talking (or writing) who, incidentally has lost 60lbs in weight by consciously drinking this water and keeping up his hydration and of course health. He has done this in 6 months. Pretty amazing I would say. He explains in a simple way how this water develops and changes your health. Every day, several times a day, when I turn on this marvelous machine from Japan I hear a little voice say “Kangen Water 9.5,” and my body instantly feels supported. As the machine begins its filtration cycle, it draws up ordinary tap water and transforms it into something absolutely amazing! Then, as if by magic, it promptly delivers filtered, fresh, cool and delicious, ionized alkaline drinking water. Peering into the glass, the first thing I notice is the milky cloud. This is how I know my machine is working optimally. The cloud is formed from super-charged, tiny bubbles of hydrogen gas (H2), which is one of the key components to this fantasticwater. This is a huge part of what gives Kangen Water® its amazing health benefits so, go on and Drink the Cloud, quickly before it dissipates! 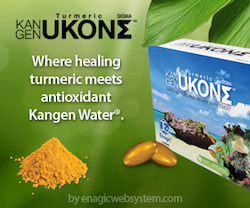 The tiny H2 (molecular hydrogen) bubbles you see in a glass of Kangen Water are generated during the process of electrolysis in the Enagic® water ionizing machine. The potential of Hydrogen or pH is the measure of hydrogen-ion concentration present, which affects alkalinity. Hydrogen-rich Kangen Water is known for its immeasurable health benefits because of its incredible alkalinity, so the more bubbles that get into your system, the more benefits! Hydrogen gas is a free radical scavenger – in other words, it’s a powerful antioxidant! The H2 bubbles may be extremely tiny, but they pack a punch in that they are capable of neutralizing even the most damaging, reactive, free-radicals in your body. In fact, the smaller the better! If you’re looking for a safe, effective antioxidant to keep your body healthy on a cellular level, visit my websiteand then give me a call! I would love to enlighten you and share my experience with you. 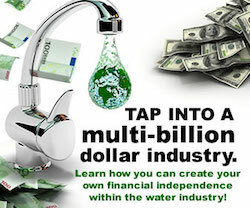 There is so much more to this then just the best water on the planet… Ask me about True Health and start your attainable journey to a achieving not only a Healthy Body, but also a Healthy Mind and the Freedom that True Prosperity can afford you! You can fully enjoy the finer things in life, all you have to do is ask. In 1963, major league baseball pitcher Gaylord Perry remarked, “They’ll put a man on the moon before I hit a home run.” On July 20, 1969, an hour after Neil Armstrong set foot on the surface of the moon, Perry hit is first, and only, home run while playing for the San Francisco Giants. 2. The Olympic flag’s colors are always red, black, blue, green, and yellow rings on a field of white. This is because at least one of those colors appears on the flag of every nation on the planet. 3. A kiss stimulates 29 muscles and chemicals that cause relaxation. Women seem to like light and frequent kisses while men like them more strenuous. I thought this interesting because Alexander Denk explains the function of a kidney in easy language that resonates with many. We think we are drinking enough water but often the water is not of good quality, not so easy to drink, and does not hydrate the body as well as Kangen Water. I know I go on about this but it is true. 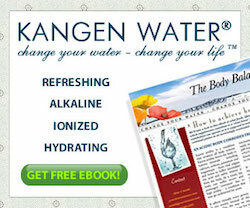 If you have a chance to sample the Kangen water (Not sold in shops you will need to know an Enagic distributor . Like me) do so and you will know what I am talking about. It is so much softer and palatable than any water you will ever drink. It has anti-oxidant qualities and 9.5 Ph level. The machines of course like the K8 has also 7 types of water that it produces (I have two of these). We hear all the time how we should be drinking more water but many of us don’t. Water is truly important to the body and a necessity for many of our bodily functions. I hope you don’t find this Infographic to be dry because it really is a good read. The Infographic below shows how water affects the body and why it is so important to stay hydrated. It is especially important if you are trying to lose weight and maintain a healthy body. If you want to get healthy and start living a better life drinking water can be the simple change that helps you get started. Do you drink a lot of water? Have you ever been extremely dehydrated? Share why you believe water is healthy for you? If you are unable to read this Infograph just click on it and then enlarge the infograph that appears and it will be very clear to read.